Biocell Water offers a complete range of sewage pumps and pumping stations for all types of wastewater. 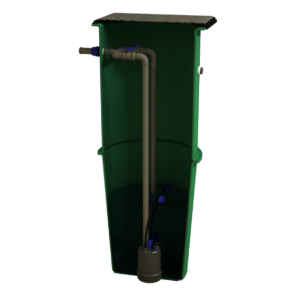 Our pumping solutions include raw sewage pumps, effluent pumps, and stormwater pumps. Sewage pumps transport wastewater from domestic or commercial premises to another location such as a mains sewer, a percolation area, or a septic tank/treatment plant. The appropriate sewage pump system will depend on the type of wastewater to be pumped, the volume, and the distance it will need to travel. We can provide off the shelf sewage pumping solutions and design custom pumping stations for any project – simply get in touch using the contact form for a free quotation. Pumping stations are an essential part of most wastewater treatment systems. A reliable pump system can often be an ideal solution for a project with site constraints or site restrictions. If an off the shelf solution is not suitable for a project we can design a specific and unique pump system for the project instead. 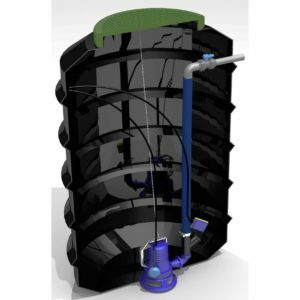 We have a great deal of experience as suppliers of pumping stations and solutions for domestic, commercial and industrial wastewater treatment and this is evident in our reference projects and testimonials. For further information about any of our sewage pumps or for advice regarding a wastewater pumping system for a project don’t hesitate to contact us. We can ensure that a Biocell Water pumping solution will meet your exact wastewater treatment requirements for the best price. Scroll down to view some of our commercial wastewater pump installations.